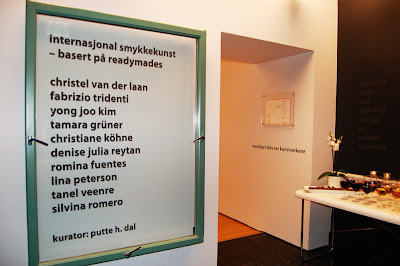 A couple months ago, Putte H. Dal who is a curator of the Telemark Art Center in Skien, Norway, invited me to participate in an exhibition called, International Jewelry - Based on Readymades. 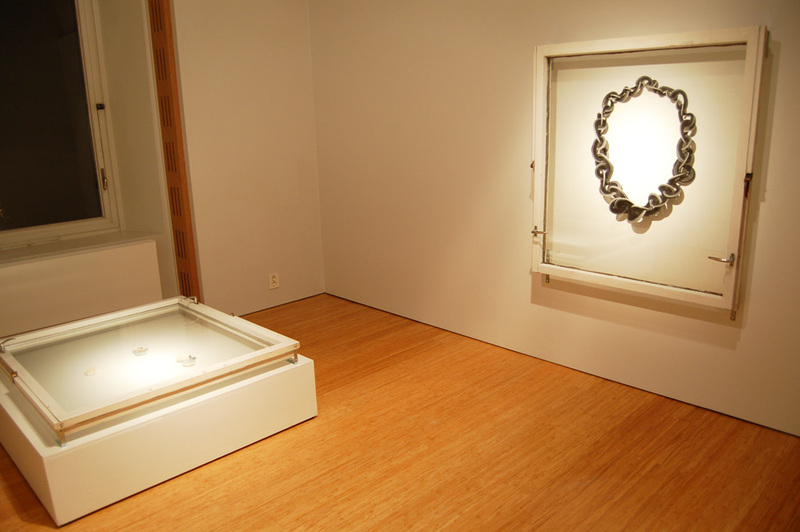 10 internationally renowned jewelry artists are participating in this exhibition. Even though I haven't met anyone yet, I am so honored to join them in this exhibition. : ) Hope I will have a chance to meet them in the future. The exhibition just started last Thursday, 16th of February, 2012 and will be up until the 31st of March 2012. Since this is my first show in Norway, I am so excited it. Unfortunately, I am not able to go see the show in person. If you are around the area, please check this out for me. For further information, on the 23rd of February, the curator will be in the gallery to guide the audience through the exhibition. 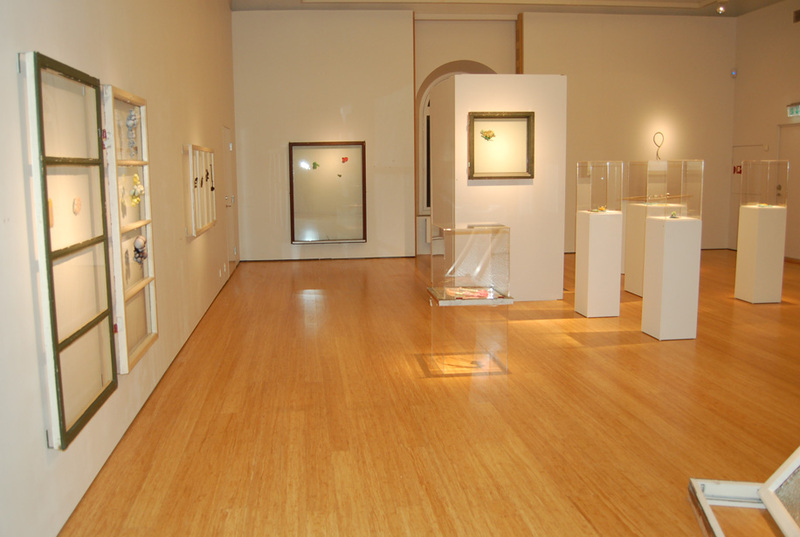 It is part of an organized gallery tour. In the evening, Ingjerd Hanevold, jewelry artist and professor at the National College of Art and Design in Oslo, will give a lecture about "Jewelry art through history and as part of the art scene". Putte H.Dal just sent me the images from the exhibition so I'd like to share them with you all! Thank you so much! 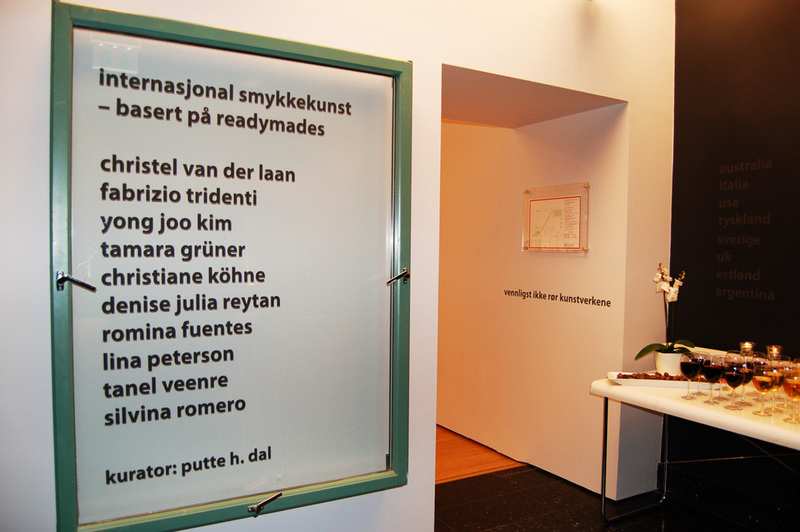 Here is the list of the participating artists for this exhibition. I was informed that I was selected as one of the five finalists in the Jewelry: Sculpture to Wear category of the 2012 NICHE Awards. Thank you so much for choosing my work! My work will be displayed at the Buyers Market of American Craft from Feb 18 - Feb 20, 2012 which will be held at the Pennsylvania Convention Center in Philadelphia. This award is sponsored by NICHE magazine, the NICHE Awards program began in 1989 to celebrate excellence and innovation in American and Canadian fine craft. The annual awards are open to American and Canadian professional craft artists and received more than 2,000 entrants this year. A native of Seoul, Korea, Yong Joo is a Niche award winning artist who explores the phenomena through which beauty emerges. She investigates both conscious and sub-conscious modes of making, and draws comparison between this process and the evolutionary process found in nature, with a special focus on the role of human trust of material potential in the context. 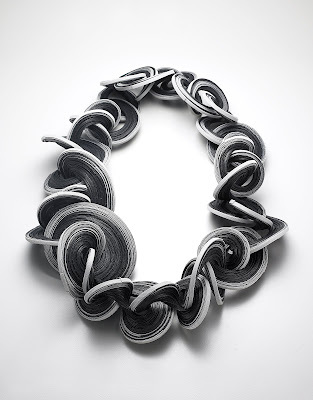 Yong Joo is an MFA graduate from the Rhode Island School of Design in Jewelry and Metalsmithing.In 2012, she was awarded the prestigious Niche award in Jewelry: Sculpture to Wear. She is also the recipient of the Adrianna Farrelli Prize for Excellence in Fiber Art from the Philadelphia Museum of Art. Her work has been selected as part of the Museum of Arts and Design’s (MAD) permanent collection, and internationally exhibited at museums and galleries in New York, Boston, Chicago, Miami, Philadelphia, Seattle, Sydney, Firenze, Kyoto and Seoul. As both an independent artist and co-founder of Sublime Experiment, she continues her search into the meaning of beauty and the process of exploration responsible for uncovering it from unlikely sources. She works and lives in Providence, RI. 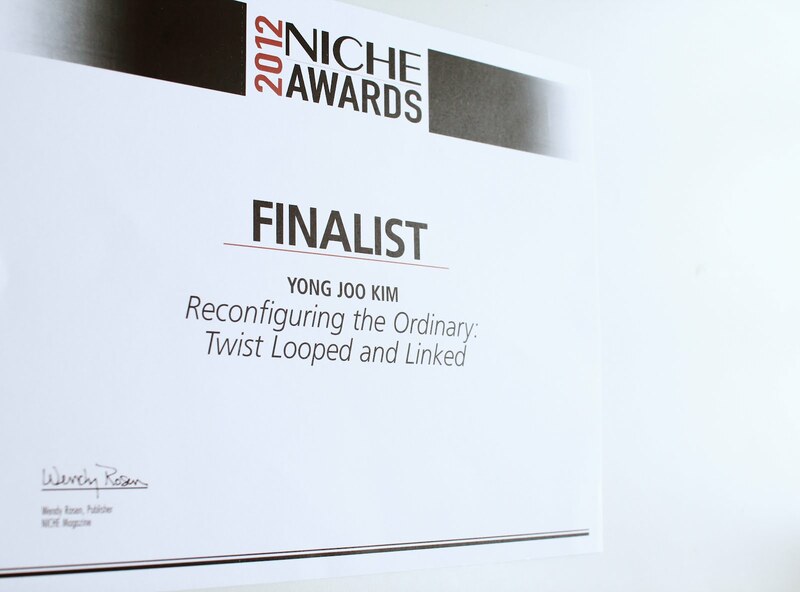 Copyright © 2000-2013 Yong Joo Kim. All Rights Reserved. Powered by Blogger.